We are passionate about finding things that rise above the mundane; that we think will catch your eye and arrest it. Moreover, to bring these to you wherever you are and whenever you feel you have the time to indulge a little. So we created a company to bring you products you will fall in love with; to give you a chance to create your own space, to tap into those hidden talents and make your personal looks and collections; to help you share your creations with friends to get that second opinion, to inspire or be inspired; and to help you shop in a way that you will find mesmerizing. 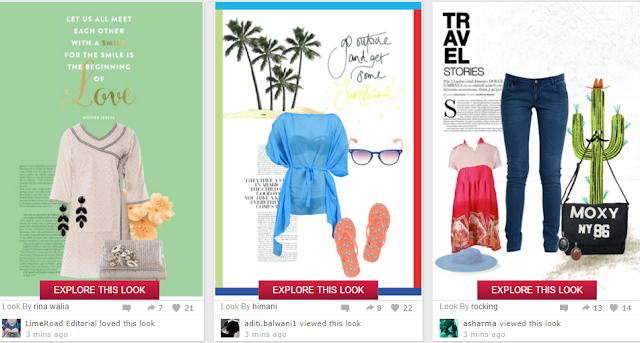 They have a very nice user interface and a great collection to choose from. Limeroad also has this interesting section called Get the Look where you can shop for an entire look and it is compiled really nicely. They have exciting offers going on most of the times like Buy 1 get 1 Free and the 399 Store, 499 Store etc.They have huge collection in each section to choose from and good quality pictures to depict the products. You all know how apprehensive I am about purchasing dresses online due to the size issue. I always prefer to go in for items that are independent of sizing like fashion accessories, bags and scarves. I picked a colorful floral print scarf and a pair of earrings. Limeroad has an automated call where you have to enter a particular number to confirm the order which is quite unique and nice. 2 : Mail received on 28/5/2015 regarding dispatch of the scarf. 4 : Received a mail on 1/6/2015 that my other order was cancelled and my credits were refunded to my account. Received call from their support regarding the inconvenience caused. 6 : Received mail on 15/6/2015 that my order was cancelled due to vendor problems and my credits were again given back to my Limeroad account. We’re so sorry! We will be unable to deliver your Order 0001284787 because our Vendor Partner has informed us that the items are out of stock. I did not receive any call or mail related to this issue which I had indicated to their support team. 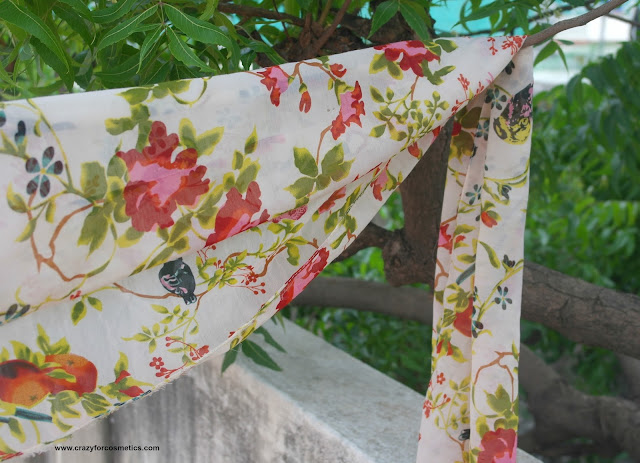 7 : Placed an order on 18/6/2015 for a new item. 8 : Received mail confirmation regarding dispatch on 20/6/2015. 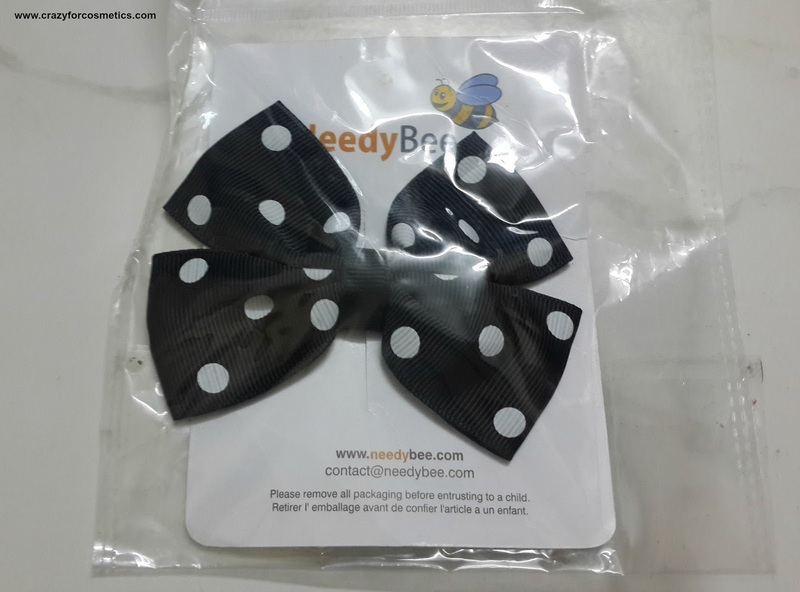 I was somehow disappointed at the shipping cost charged by Limeroad.com for every single product we purchased. Each product was sold by different vendors and for each one I had to pay INR 69. I am quite happy with the delivery system of Limeroad which was quite prompt and timely. The products reached in good condition and they offer good quality products at best prices. 1 : Great wide variety of collection. 1 : My order got cancelled twice due to Out of Stock problem from the Vendor.I wish they indicated the Out of Stock when we choose the item itself rather than cancelling it after we place our order. If you are looking for fresh, affordable collection for your wardrobe , head on to Limeroad to check out their cool stuff. Items going out of stock can be a big let down though !! 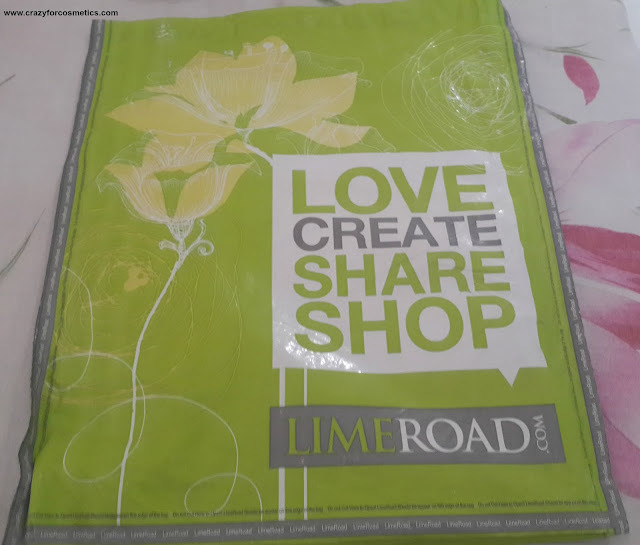 What I purchased from Limeroad.com ? 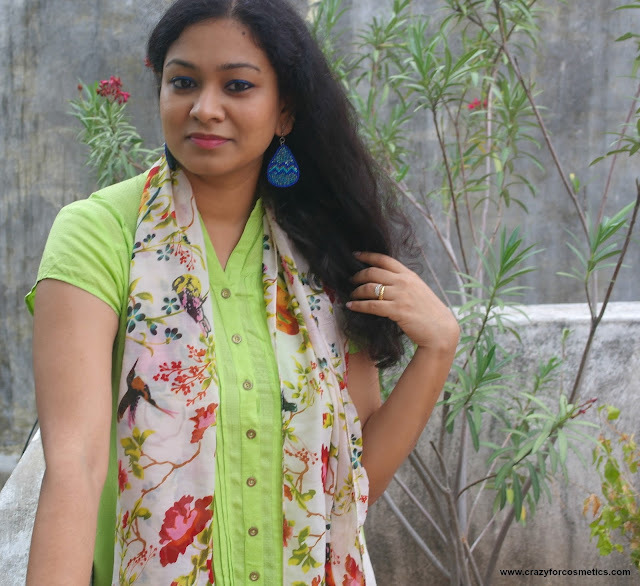 Floral is my favorite for summers and I try incorporating bright , floral designs in fashion accessories, outfits, footwear and even scarves or headbands.I feel they make you look fresh and young even in the summer heat. 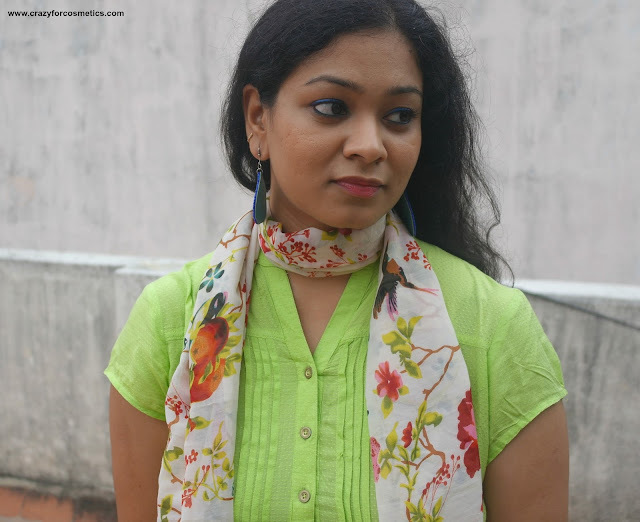 Some ideas on styling a scarf even in summers to look bright & colorful. **This is a sponsored post but opinion is honest.